Never was this more apparent than during World War II. Now, we’re not going to get into all the history of this tremendous conflict in the confines of an automotive article, but it was one of the most horrific wars in the history of the world. And it wasn’t so long ago that there aren’t still people with us today who actually remember the events that took place firsthand. But to set the stage, Hitler’s Germany was wreaking merciless havoc throughout Europe starting in 1939. Germany’s ally Japan slithered in and bombed an unsuspecting Pearl Harbor in 1941. The U.S. naturally abandoned their neutral stance and declared war on Japan, and Germany took that as an opportunity to declare war on the United States. It was a bloody, disgusting mess, and a threat to not only our way of life, but all of humanity. The war primarily did not take place on American soil, but all of America had to carry the burden. The auto industry was hit especially hard. 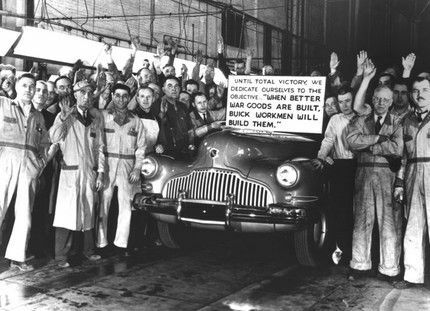 In January, 1942, the U.S. Government ordered that all automobile production be ceased. Unsold vehicles went into long-term storage or were used for military use. Even the sales of tires and replacement parts were severely restricted. Were it not for the sale of accessories and car radios, the industry may not have survived. But the U.S. auto industry ended up serving a higher purpose than just selling shiny new cars to happy suburbanites. Even before the attack on Pearl Harbor, manufacturers were dipping a toe in the war materiel pool. Light vehicles such as jeeps were already filling government orders. And the auto companies were closely monitoring the world climate and planning accordingly. Should they need to convert automobile factories to build tanks, airplanes, and weapons, they would be ready. And ready they were. 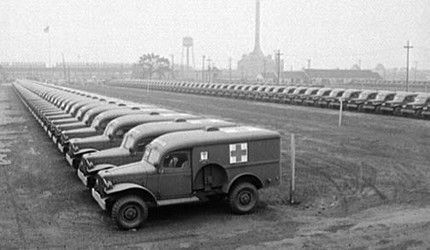 The way the U.S. auto industry was able to convert car and light truck plants over to war production is absolutely staggering. This wasn’t about designing a quick changeover on a computer. This was about people. Geniuses such as Chrysler’s K.T. Keller, GM’s William Knudsen, and Henry Ford, were able to coordinate these changeovers with their extraordinarily competent plant managers, engineers, and officials. The employees were versatile enough to adapt to these huge changes. And when many of the men that would have been doing the work ended up leaving the U.S. to fight in the war, their wives, girlfriends, sons, and daughters picked up the slack. If the auto industry seemed strong when they were building cars, they became almost supernatural when they converted to war production. U.S. companies also owned factories overseas, and naturally, they were staffed by domestic workers. Certainly, when Germany was under Hitler’s control, he also had an influence on Ford and GM factories. As a result, some of the supplies that were built in those plants ended up going to Axis war efforts. Luckily, U.S. management was able to retain some control, and plenty of German-built war materiel went to Allied forces as well. And even more importantly, the efforts of the automobile manufacturers in the U.S. were invaluable to the Allied victory. 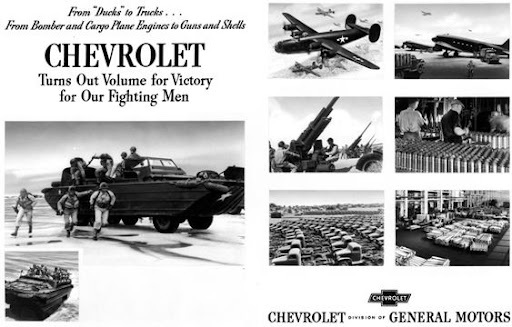 Still, this situation was a back eye in an otherwise stellar effort by our American auto companies to help win the war. Locally, B-25's were manufactured in Kansas City, Kan., by North American Aviation. Here is an interesting promotional video about Ford's role in the production of the B-24 Liberator airplane during World War II at the Willow Run Assembly Plant (MORE AFTER VIDEO!). Once World War II ended and automotive production resumed, people showed their appreciation by buying up new models like no other time in history. Soldiers came back from the war ready to buy. Older cars needed to be replaced. The efforts, sacrifices, and hardships of our military, and the flexibility and might of American manufacturing had paid off. Out of the evil and misery of World War II came a prosperous, optimistic new world. The U.S. auto industry proved that they could do anything they set their minds to, and as the 1940s came to an end, and the ‘50s got underway, they set out to prove that again with some of the most flamboyant, futuristic vehicles ever to grace a showroom. Not everyone has the same definition of what an American car company is these days, but there’s something to be said for the impressive, all-American résumés of GM, Ford, and Chrysler. That may be something to consider when you make your next car purchase. 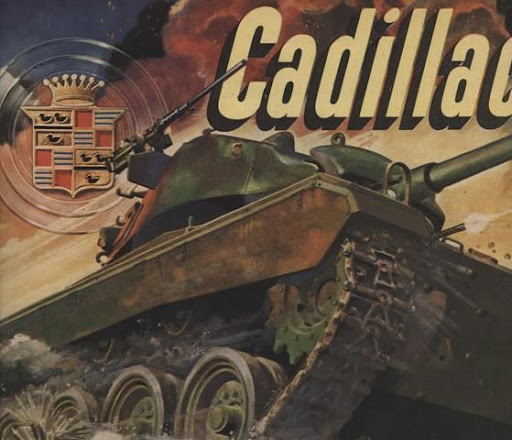 The following slideshow contains interesting period photos and advertisements of U.S. carmakers working toward the efforts during World War II. Click on the dialouge baloon in the bottom left corner of the slideshow for captions. Lovely! Which all areas do you serve? All american resumes? 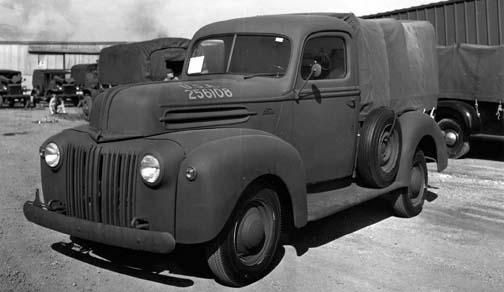 GM and Ford built a very large number of trucks for hitler which formed an important role in supply and transportation for the German army.